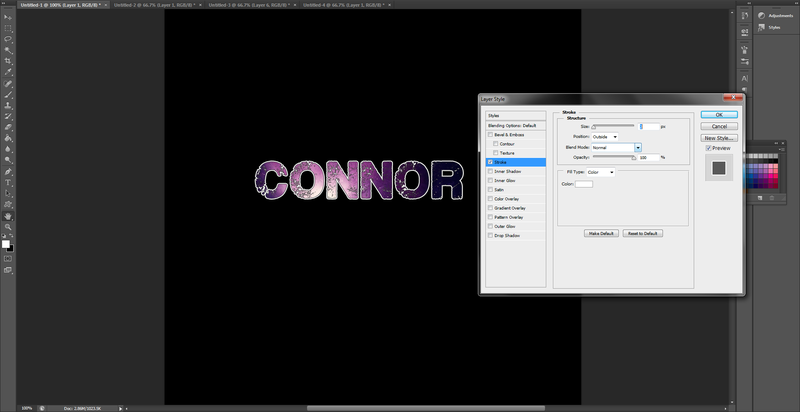 Now you can merge the text-layer with the image-layer. 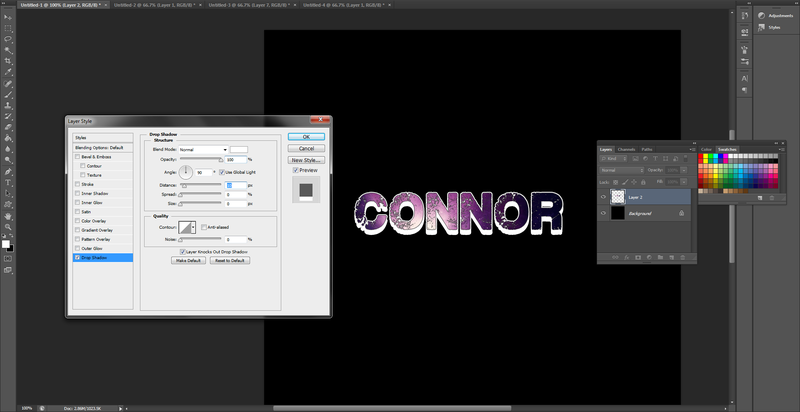 Hold CTRL and click the image-layer and text-layer followed by CTRL+E. Now we add our borders. The thing with Photoshop... and designing for that matter, I never use pure black I always use a kinda' lighter black (#333333). If you go to "fx" and click Stroke and create a 1px Stroke with 100% opacity we'll be on our way to the look of the actual signature. 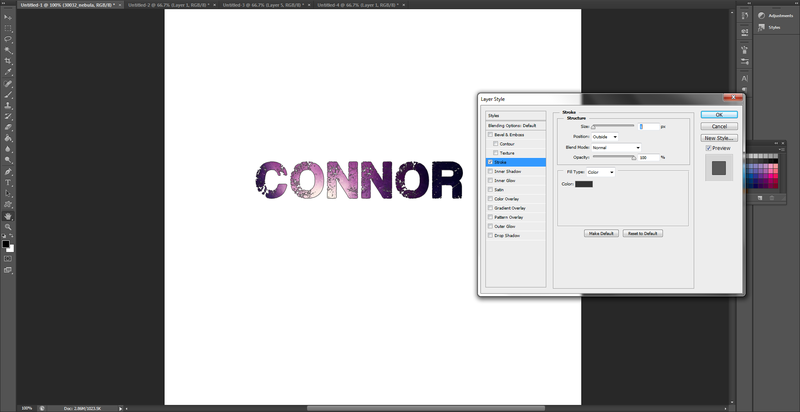 Now, if we create a new layer and merge it with the text-layer, we can add even more Strokes. Create a 2px white Stroke. Background has been changed to black so you can see it. 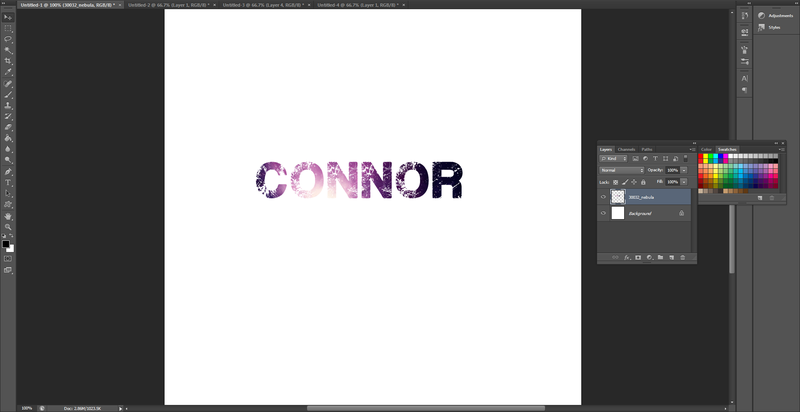 Now, new layer; merge and now we can make a drop shadow. Go to "fx" then Drop Shadow and make one that's got: Blend Mode: Normal, Angle: 90*, Distance: 10px, Color: white, Spread: 0, Size: 0.